Let everyone know of your excellent musical achievement with the Musical Melody Resin Plaque. 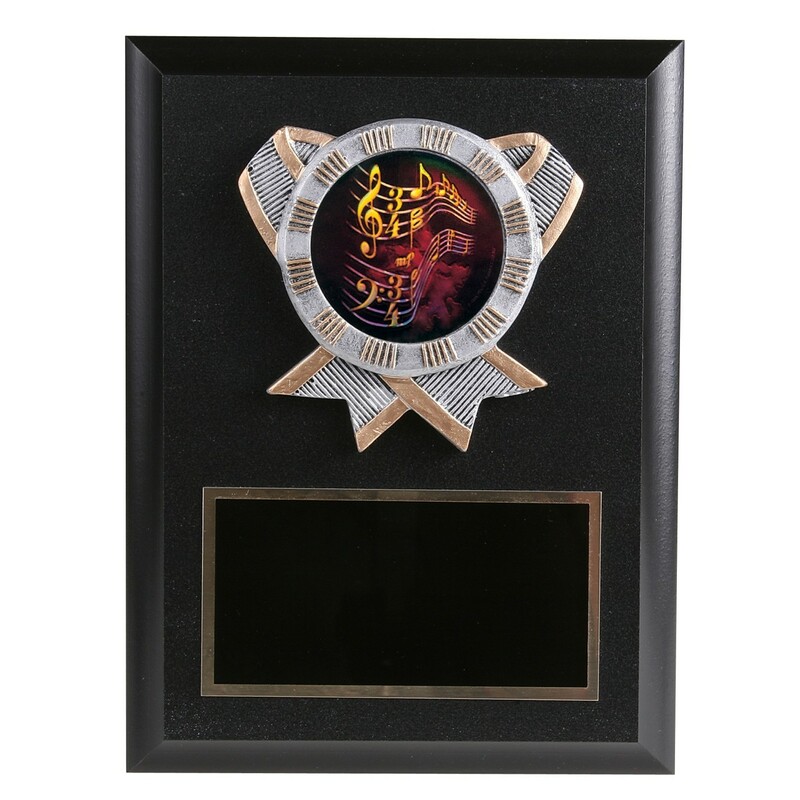 This 7" x 5" black simulated wood plaque features a resin relief of crossed ribbons that displays the holographic image of a rainbow of musical notes. At the bottom is a black brass plate engraved with gold letters.